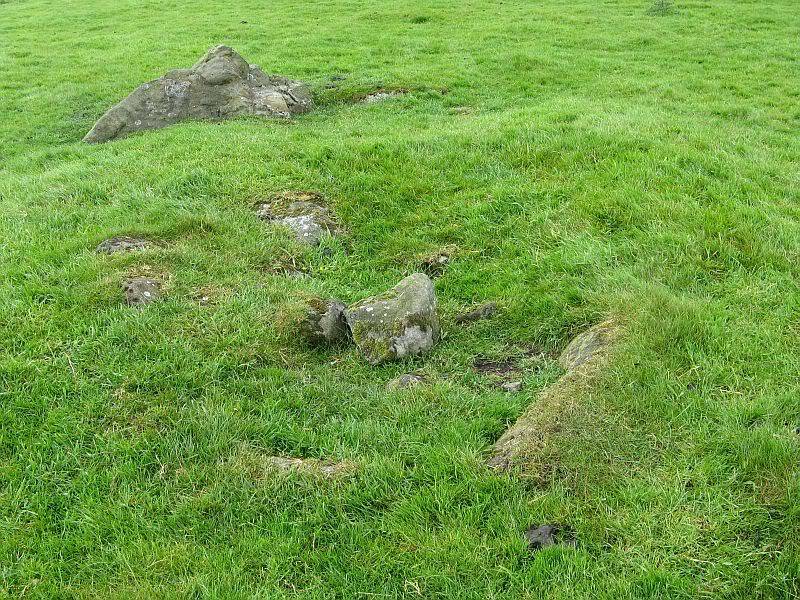 THE DISSENTERS' WELL & TOM'S CROSS, Kelbrook Moor, Lancs-Yorks Border. Os grid reference SD.92104 43179. From Kelbrook village head south past Old Stone Trough then continue as far as the lane goes to Accornlee Hall. Then head eastwards for about 1 mile on footpaths to two buildings called Oxenards and Laycocks. 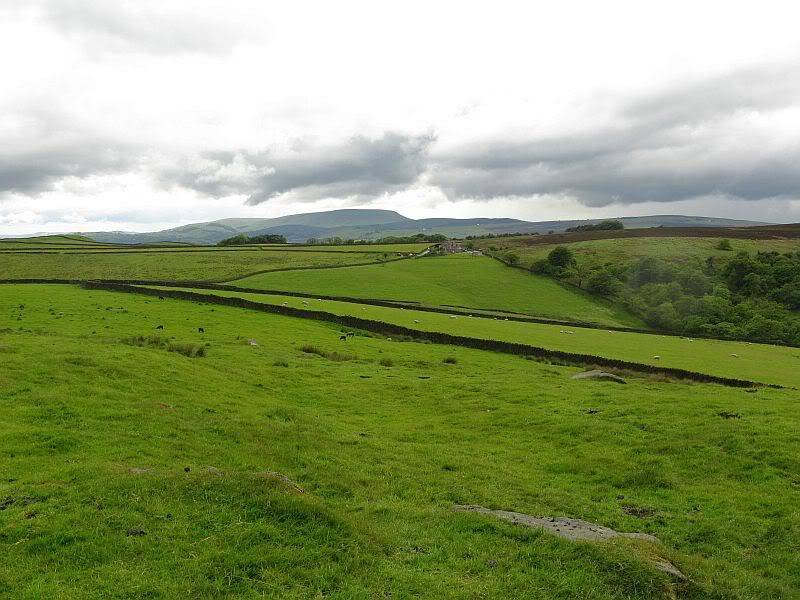 From here continue east along footpaths for another 1 mile or so until you reach Copy House (now called Hawes Farm). 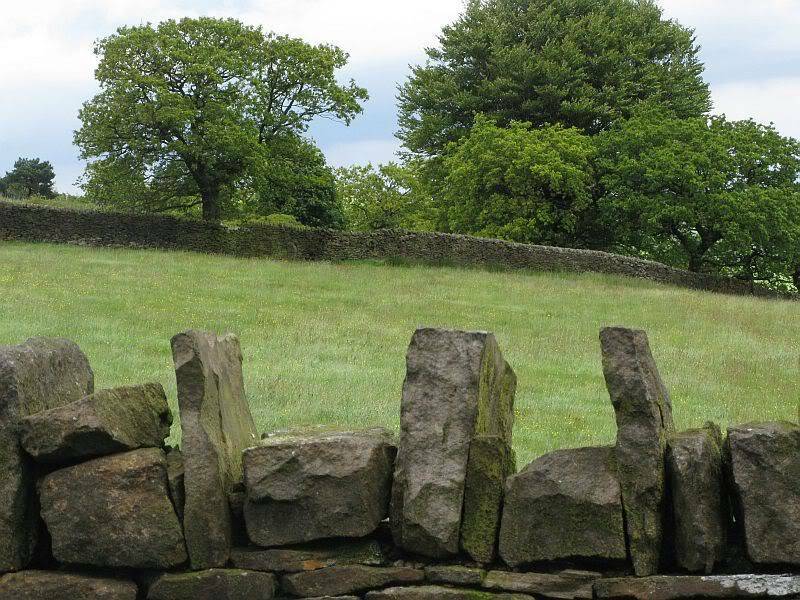 Go to the back of the farm and 100 yds east close to Kelbrook Wood where you will see in the wall a cross-incised boundary stone. At the side there is a square-shaped holy well. (You may need to ask permission at the farm). 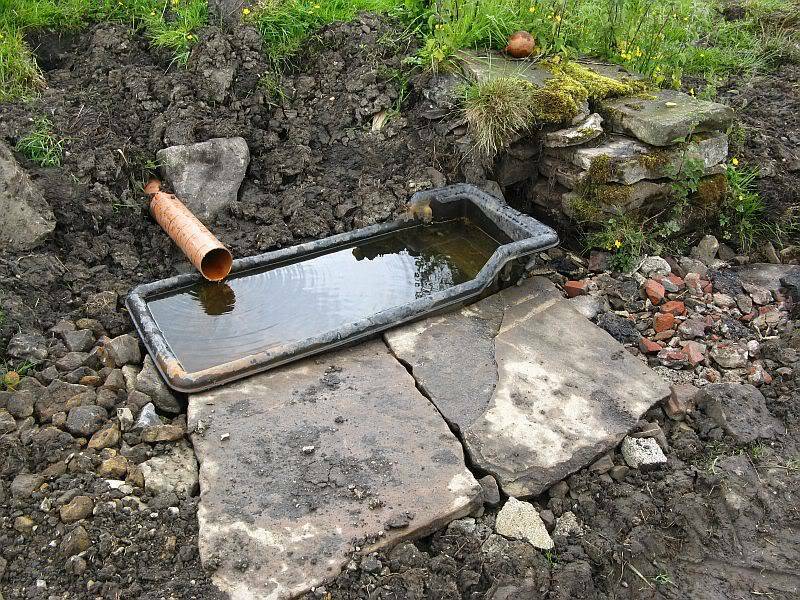 The so-called Dissenters' Well is a rectangular feature in the ground next to the wall. 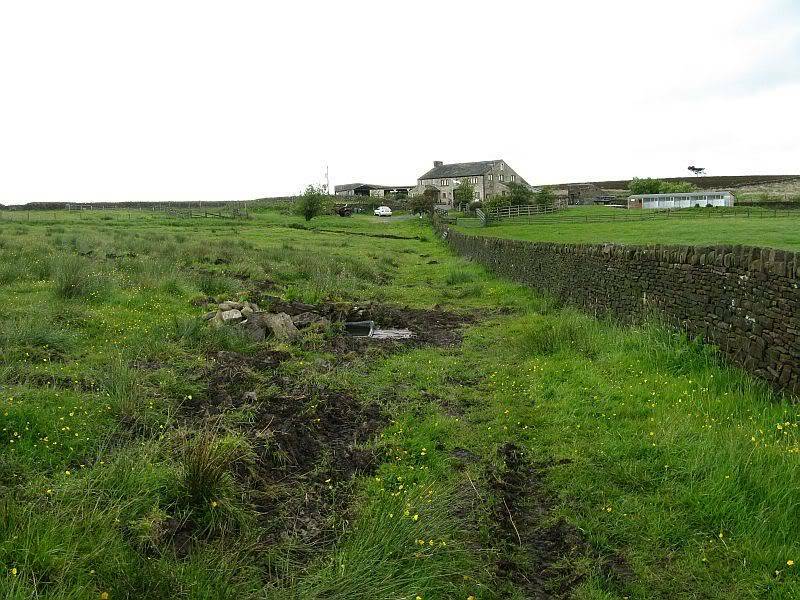 It is said locally to date from the 17th-18th century but is most probably an ancient moorland spring. The well was in use from the 17th century by Quakers, Baptists, Methodists and possibly Roman Catholics, at a time when there was much animosity towards non-Conformists. 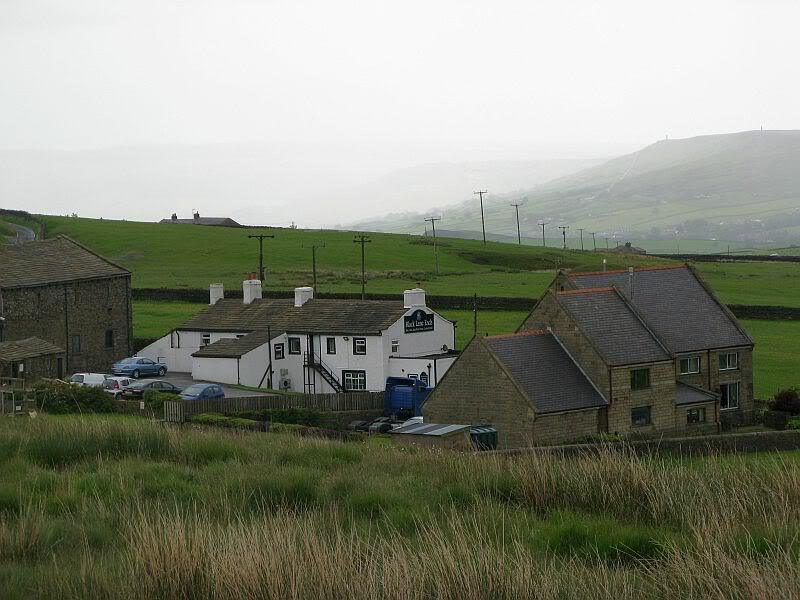 Legislation was passed stopping all illegal gatherings to be held within a 5 mile radius of any church - thus leading to religious gatherings in bleak, remote places on the moorland above towns and villages. In 1812 an Act of Parliament against non-Conformists was repealed and dissenters were given equality regarding where they could worship. The water in the well no doubt had some medicinal qualities or, was a source of spiritual up-lift at the time. 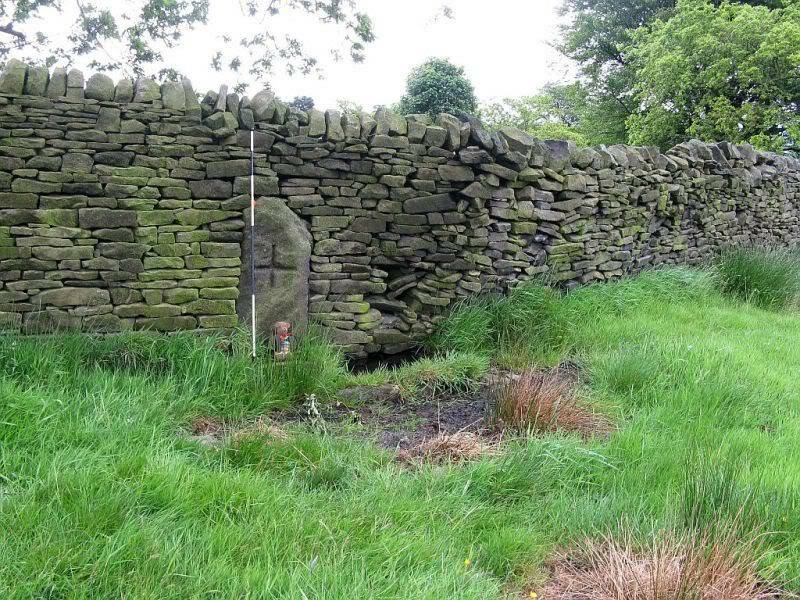 By the well there is 3 foot high pointed boundary stone or waymarker that has a thin incised cross carved onto it. The stone is partly embedded in the wall. 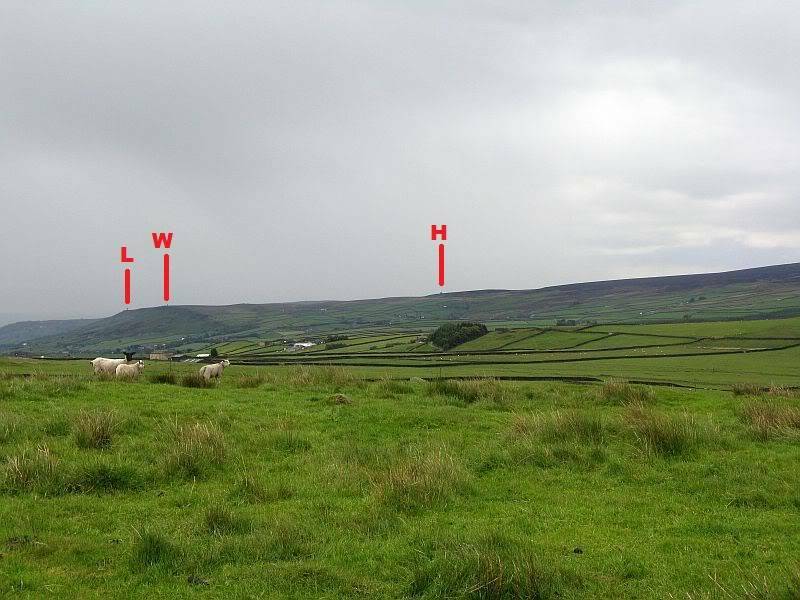 It probably marks the old boundary between Lancashire and Yorkshire. I don't know who Tom was though he may have been the person who set up the stone. The age of the stone is not known. 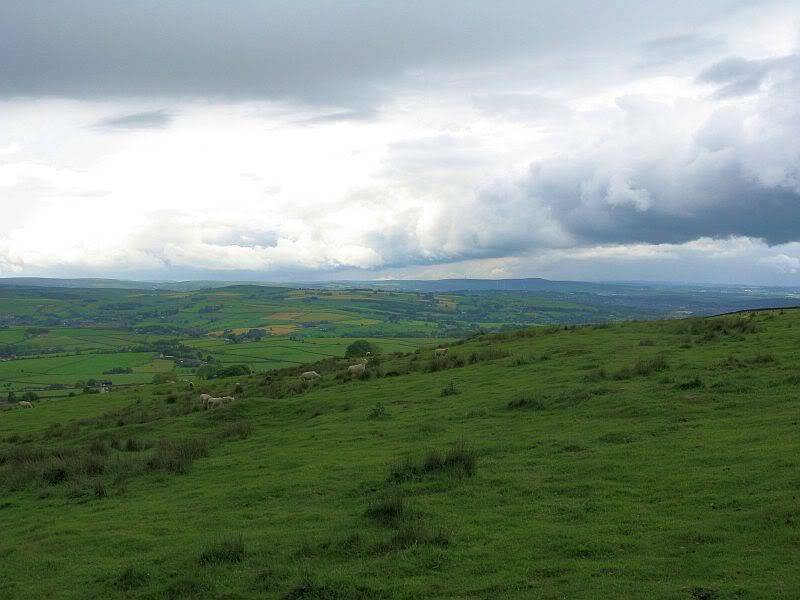 Oldland, Fay., - The Story Of Foulridge, Pendle Heritage Centre Ltd, 1990. 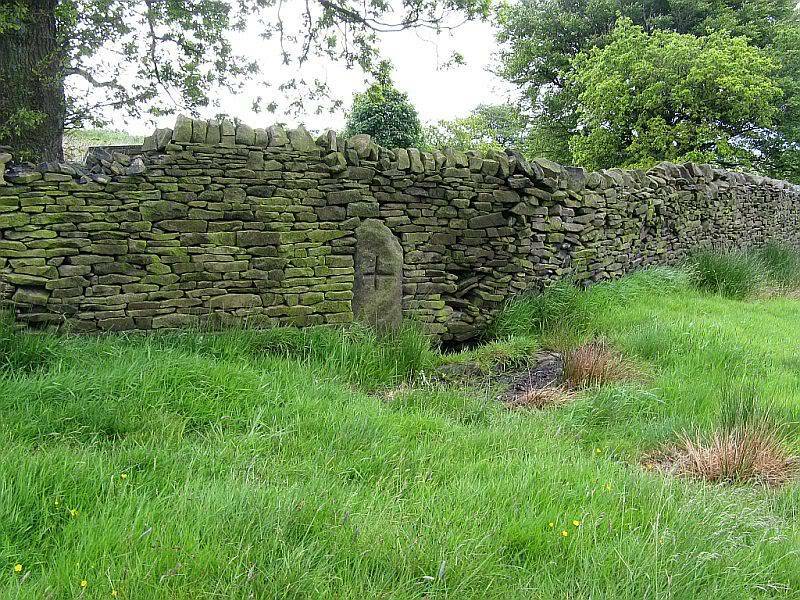 Re: THE DISSENTERS' WELL & TOM'S CROSS, Kelbrook Moor, Lancs-Yorks Border. Lemme know if there's owwt that needs altering/editing in anyway. That would be hugely appreciated Danny! Not much to see ! 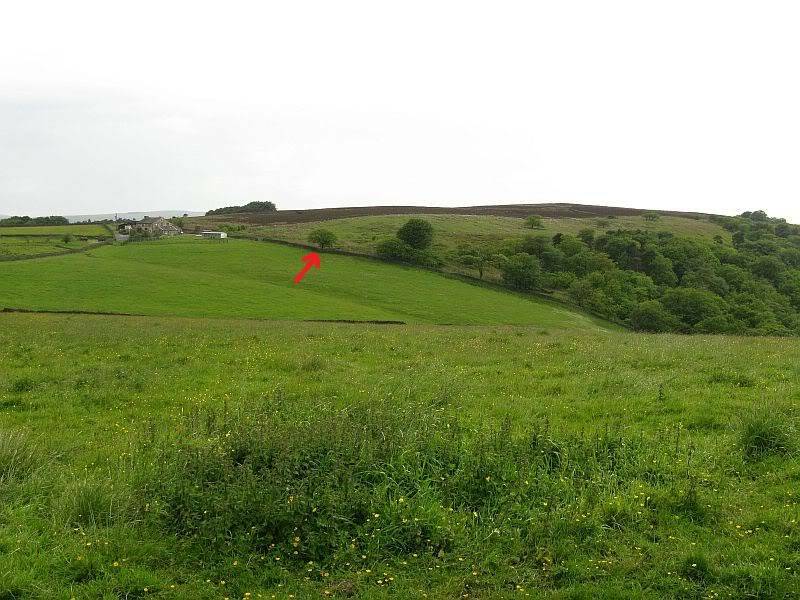 I think you're in the wrong place Danny, its probably the other copy house at Os grid reference SD.921 431 at the south-eastern edge of Kelbrook Moor. 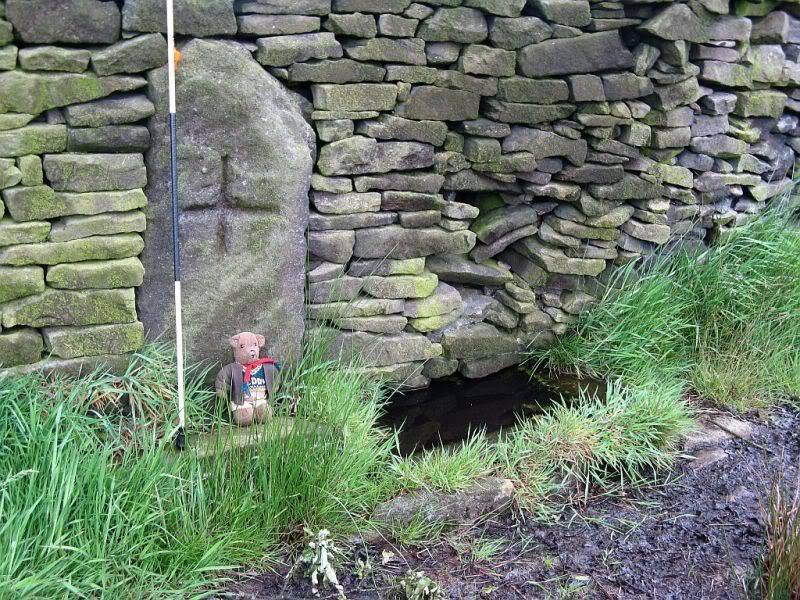 If you're going to have another look the well it is a small, square-shaped feature next to a wall, just south of Copy House, with a small pointed boundary stone at the side embedded into the wall. 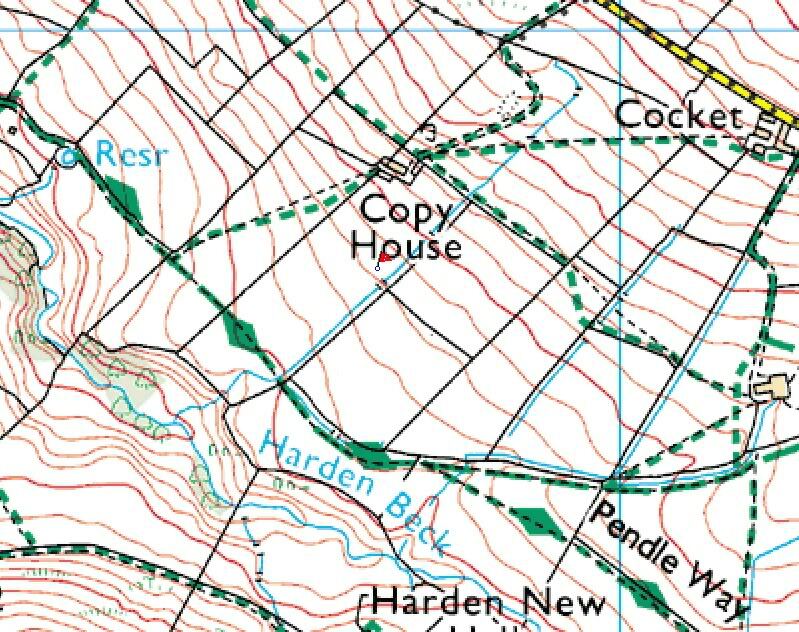 My Os grid reference was initially wrong as there are, in fact, two copy houses in that area. You may need to ask at the farm. Thanks for going up there and looking though. Here's a b/w photo of the well and cross incised boundary stone. Ray. 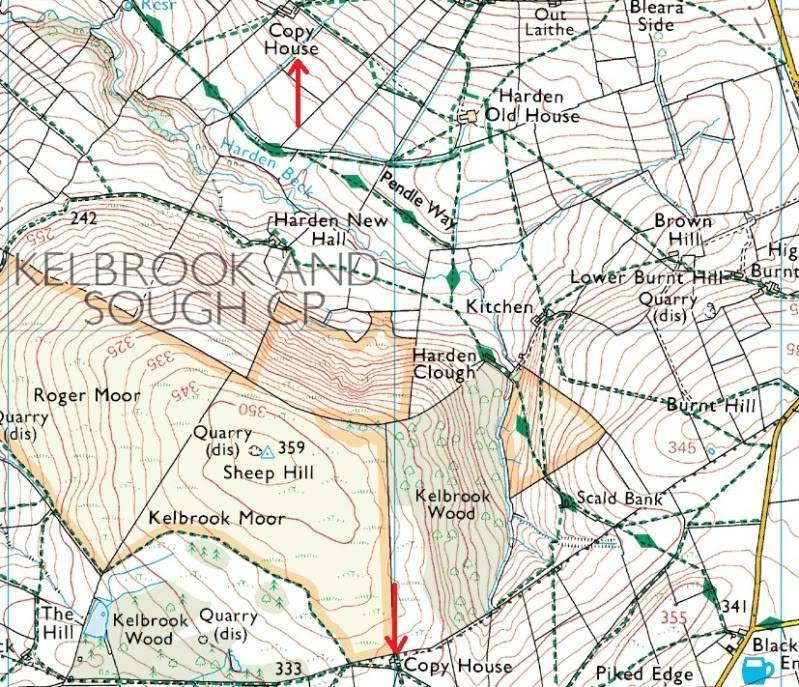 Yes go to Kelbrook Wood the well will be next to Tom's Cross. I will get things properly sorted eventually. Cheers. Ray. Dissenters' well at last ! Sunbright57 wrote: Os grid reference SD.917447. 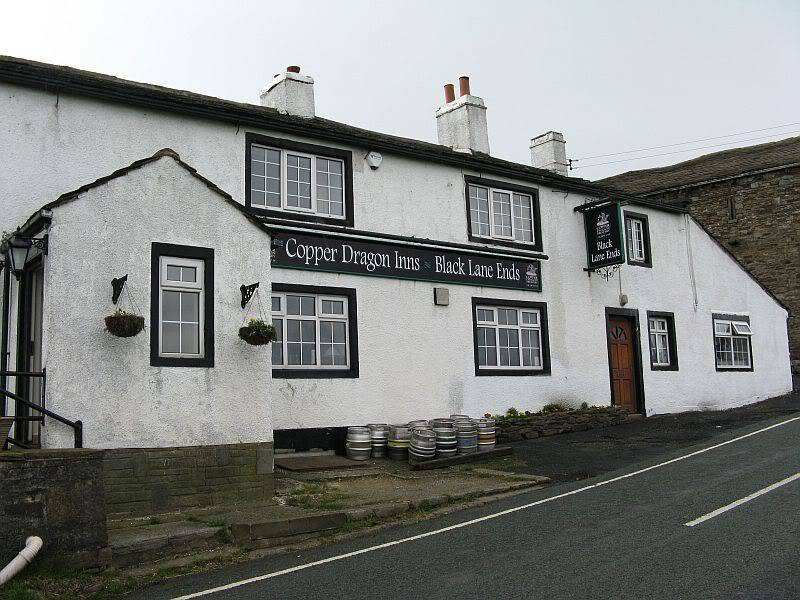 From Kelbrook village head east for 2 miles towards Kelbrook Moor via Heads Lane. Just after the reservoir follow a footpath in a north-easterly direction for about half a mile up the side of the moor. 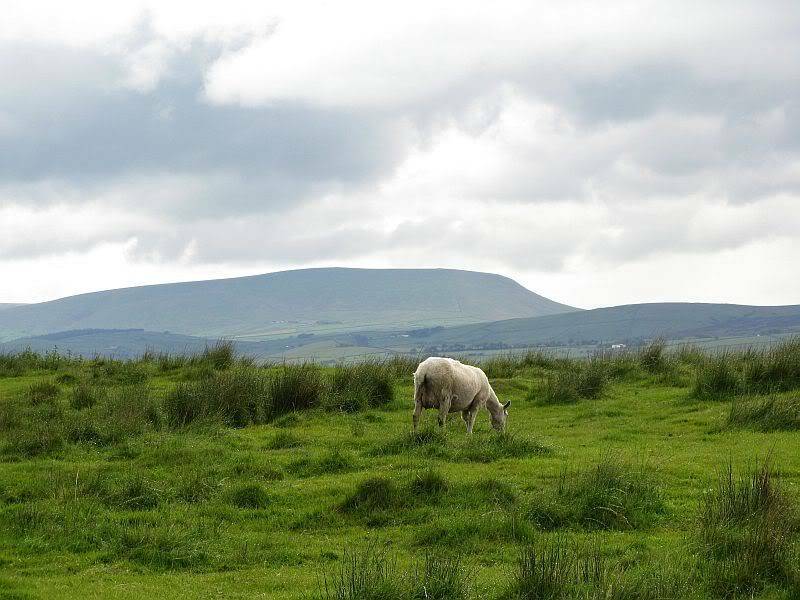 The Pendle Way passes close by here. 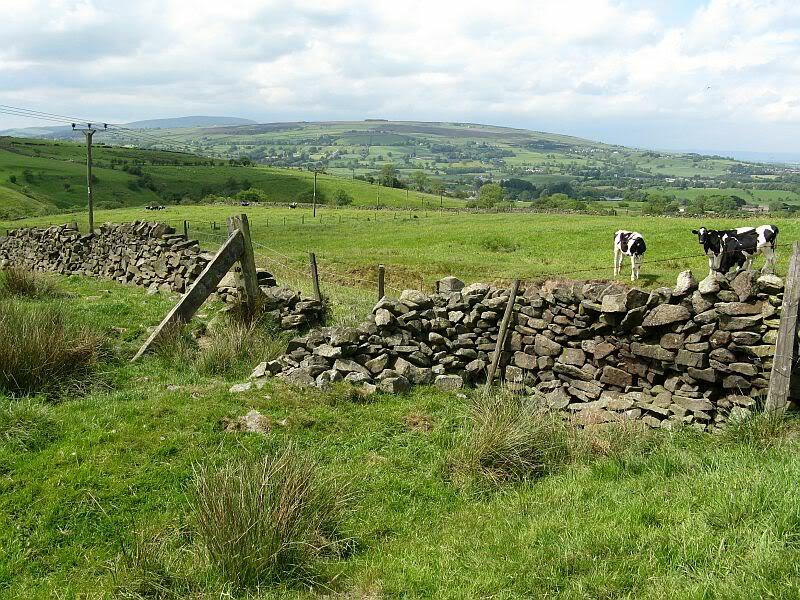 Beside a farm wall, just below Copy House, is the Dissenters' well with a boundary stone standing at the side. Sunbright57 wrote: I think you're in the wrong place Danny, its probably the other copy house at Os grid reference SD.921 431 . 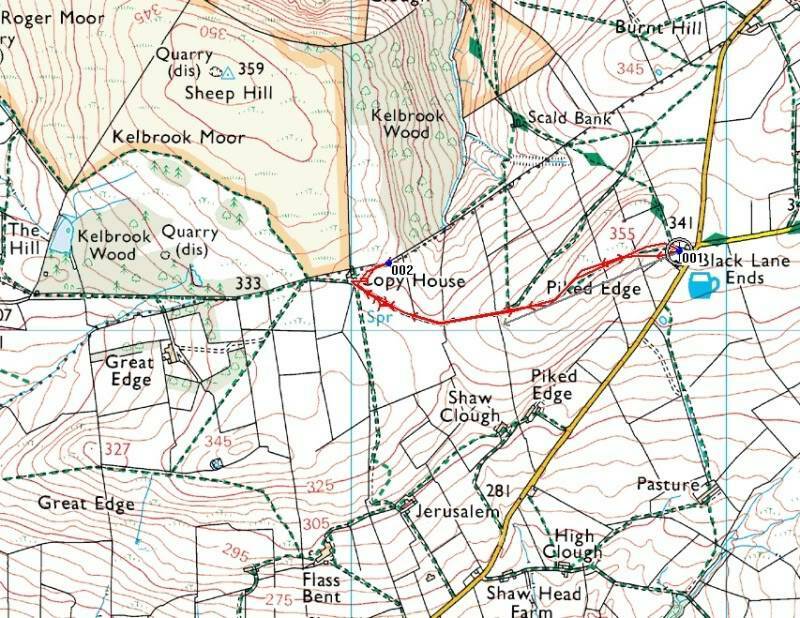 My Os grid reference was initially wrong as there are, in fact, two copy houses in that area, the well it is a small, square-shaped feature next to a wall, just south of Copy House Thanks for going up there and looking though. Ray. 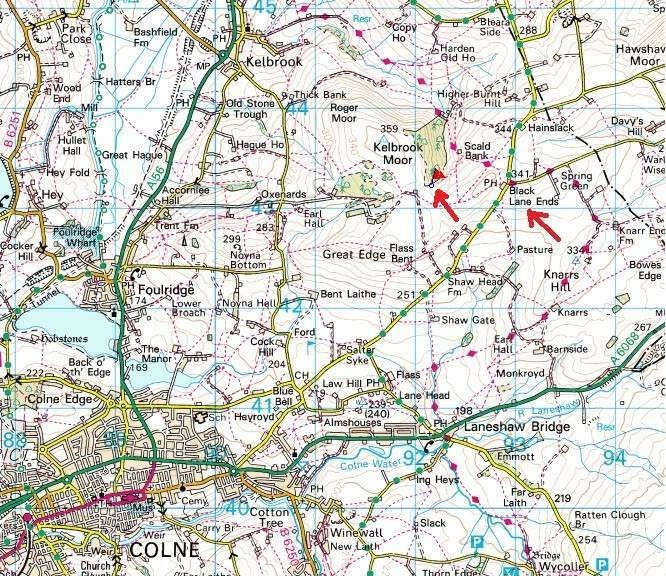 the above Grid reference is near to a spring on the path/field wall south-east of what is now Harwes Farm which I thought would be it, but I’m glad it wasn’t. there’s plastic progress for you, craftsmanship a work of loving art in the Landscape ! Knock on the farm door and explain what I’m up to and show back of map with well info. 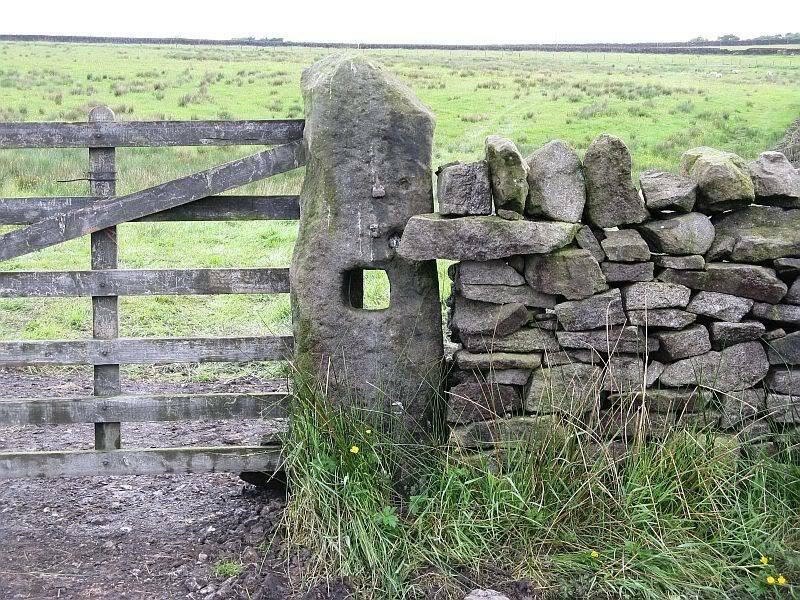 “No there’s no old wells round here” but very friendly so I explain I think I’ve seen the cross on the boundary stone and would it be OK to walk around the side of the meadow to go and have a look. Yes no problem but there’s no well down there ! I wouldn't like to guess how long the wall to the right will remain standing ? I can feel a session coming on, maybe camp if there’s ever going to be a summer ! 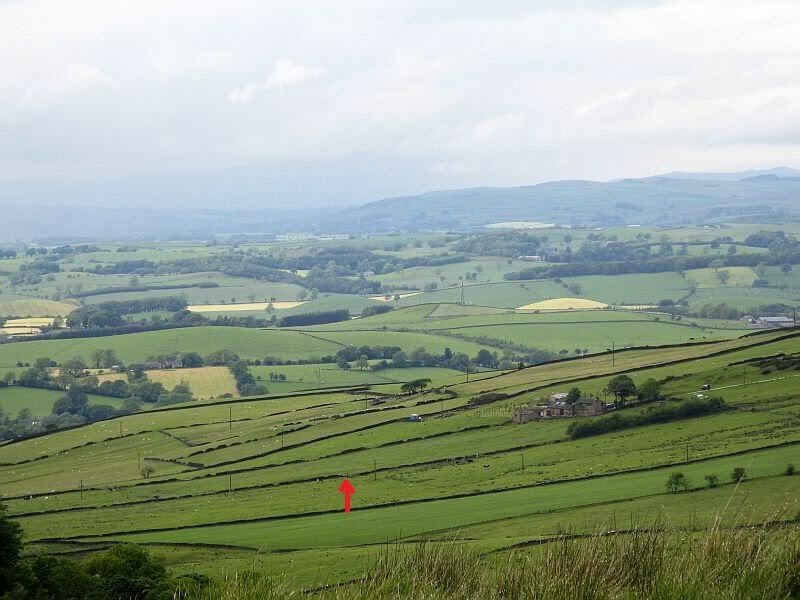 Hooray, you found it Danny, thanks so much and thanks for the proper Os grid reference. 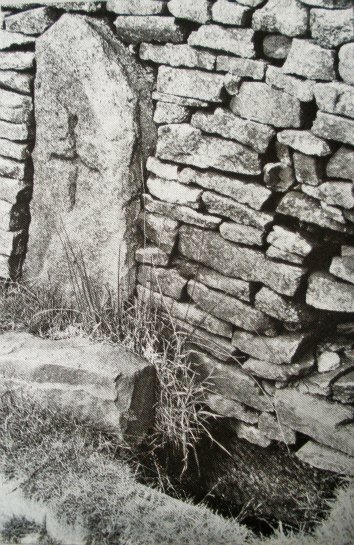 Were the well and stone located behind Copy House (Hawes). Those stones lying in that field look interesting. Wonder what they are, or were. Cheers. Ray. Ps Danny, I owe you a pint. Don't know how that can be sorted though. 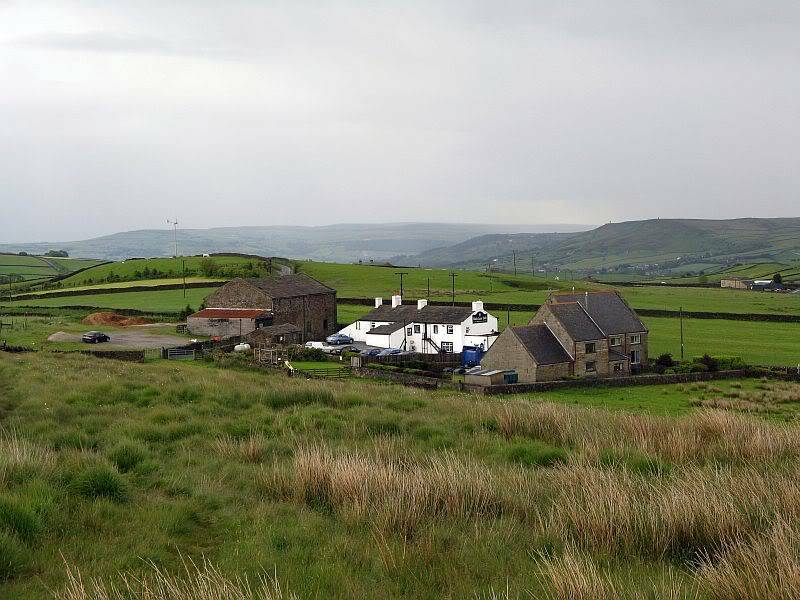 I just stumbled across this forum when sorting a Google listing out for my business, and found it quite interesting given I own Harwes Farm. The dissenters well is certainly a place of interest for us here as residents, though the well itself resides on our neighbours land, as it shows an old place of worship, something that we are certainly very interested in given m wife and I are worship leaders and have had a few groups up here of such (in fact we often have friends up and it's always a talking point at somepoint). It's amazing how much of a sense of peace you do get up here. We lead a youth camp at the end of summer and as part of this we took the young people for one of the worship sessions we were running to the well and told them of it's history and it was really quite good. I'll certainly place a link to this thread on our family blog as it gives people that bit more information, as well as some lovely photos taken by the forum members. 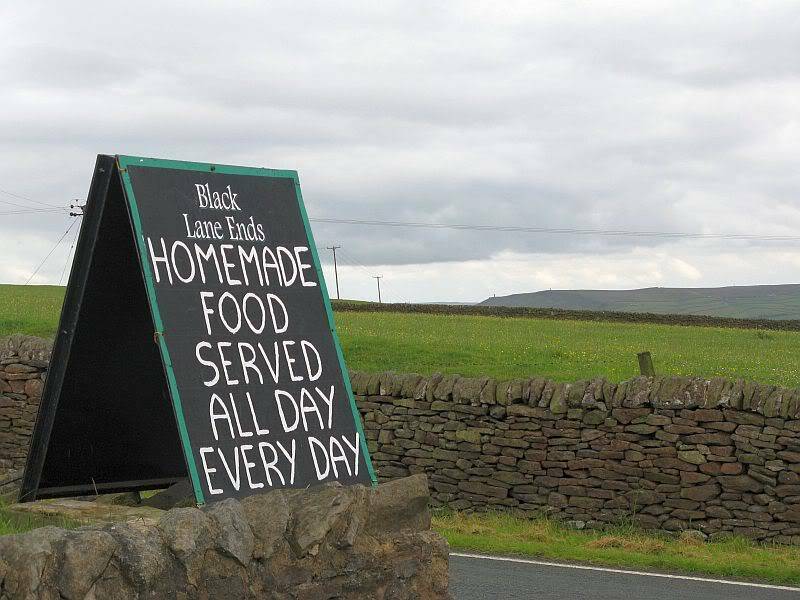 Thanks for that Andy T. Yes, I know its one of the pleasures of living on a farm on the moors - you're away from the bustle, noise and distractions of the towns and cities. I envy you somewhat (hope that's ok) living in a peaceful place and having a well like that close by. It must be nice up there in the summertime. So, welcome to TNA. 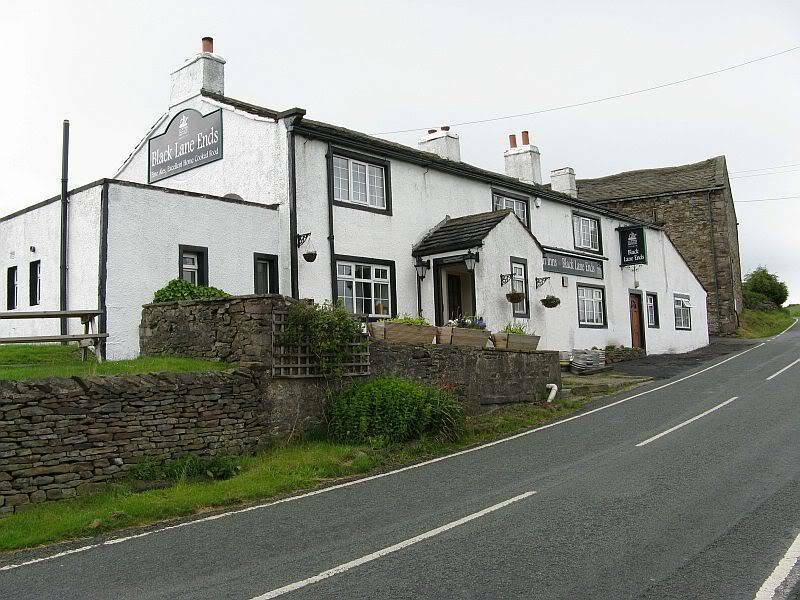 Some photos of the moors or anything else of interest would be greatly appreciated - we like anything like that ! Merry Christmas to you and your family. Ray.